I have started looking for a new Pal for lonely Zoey. I felt the longer I grieved for poor Abby, that the longer some other dog stays in a cage. I have read a Puppy can rejuvenate an older dog, but can they be a too active for an older dog? Would an older Adult be better? Your experiences and advice would be welcome. When our Milly died in 2009 just before she and her litter sister Mabel had their ninth birthday, Mabel was broken hearted so we looked for another chow chow to keep her company. We brought little baby Matilda home - she was just eight weeks old - and Mabel loved her. She talked to her and played with her and explored the garden with her and disciplined her and when Matilda was just five months old we bought Maisie, her litter sister and Mabel loved her too. When they were three, Mabel died but she had had the last three years of her life surrounded with two lovely young chow chows who loved her. So my experience was good. 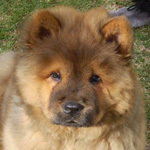 However, I appreciate that over The Pond there are a lot of older chow chows who need a home so. . . . . . . I'm not sure which would be better, but if it was me and there were chows up for adoption I would certainly try that path! Imagine being able to give your chow a pal and at the same time give another chow an opportunity to better their life and give them the loving home they deserve! I think its wonderful you are considering both! Best of luck with your choice and I hope you find a great friend for Zoey! If you work with a rescue you could foster first and see how things work out. I'm sure you could get some great advice on which type of personality would fit in best too. I would adopt. 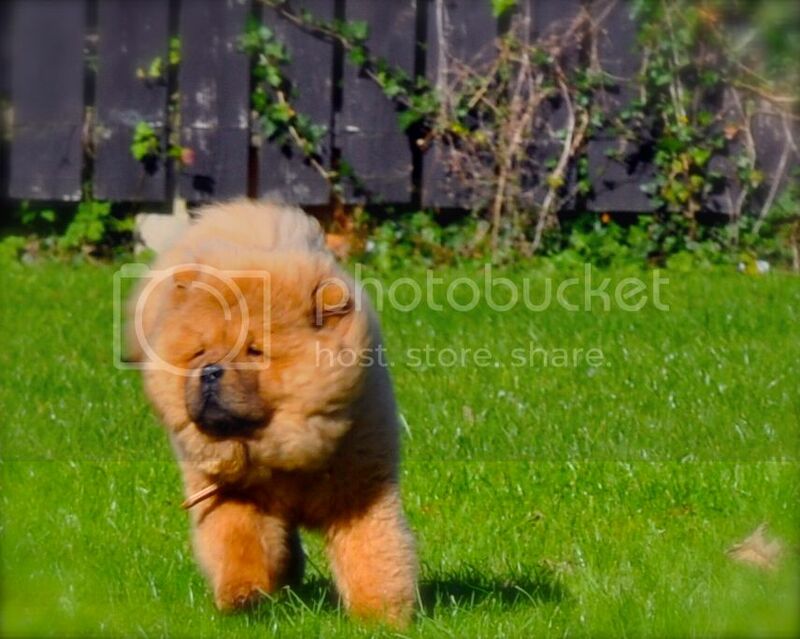 From what I have seen with fellow chow owners their adult chow gets stressed with a puppy's energy and those who adopted older chows with good temperaments are much happier and more energetic. Make sure you study their compatibility though so as to not give your existing baby stress from a 'jerky, power tripping new dog'. Some new dogs try to displace the existing ones. Yeah, try fostering and then decide from there which new chow you want to keep. I agree with Maikinda. Try a foster to adopt situation through one of your local rescues. This way you can help Chows and find the right addition for your family. I foster Chows and have kept a few along the way for my family as well. Occasionally there are puppies at the shelters but most likely you will find young adult Chows. People seem to dump their Chow once they enter the teenager phase and the owner hasn't bothered to train them. You will also find quite a few older Chows as well. I second Constantina's comments. My Kyra (5 years old) does not often get along with puppies for this reason. She is in heaven when she meets a dog who is in sync with her energy level and will want to be best friends. She can find this in puppies, though this is few and far between. Best of luck! I was not looking for another dog but one day my vet asked to do her a favor. She had rescued a chow mix the day before he was to be put down. She was desperate to find him a temporary home. I agreed to take him for the weekend. I was certain that the rescue, Frisco, would never get along with our older chow , Loki. What are the chances of two male, adult chows getting along? Turned out...it did. That was six years ago and they have never had a problem with each other. I think the reason is that Frisco is not an alpha type dog. He is willing to be a follower...not a leader. I think it is specific to the dog, but I would always go for the rescue. I am not sure Loki would have liked a puppy in the house.